Do I need to bring Euro currency? No, you can get by without any Euro cash using your credit or debit card. It is convenient to have a small amount of Euros however for incidentals when traveling to Schladming and for beer and snacks at the Mid Europe festival. There are ATMs in Schladming that will dispense Euros through your bank network for a small fee. No, our hotels in Schladming do not provide laundry services. You will need to plan to bring enough clothing to get by or do hand washing in your room. There is a washing machine in the Royer that can be used for a fee. Tokens for the washing machine can be purchased at the front desk of the Royer. Is there wifi service at our hotels and rehearsal venues? Yes, Royer has free wifi for their guests. The wifi can be spotty however in the facility (i.e. not great in rehearsal area). There is wifi at the Congress but it is password protected for festival management only. Many cafes in town (and on mountain tops!) have free wifi available. Tui Blue has wifi service. Pension options may or may not. Do I need to speak or understand German? No. Rehearsals are all in English. Your hotel staff, wait staff and most merchants in Schladming speak English. Schladming is an international ski destination and the community is very welcoming and willing to converse in a range of languages. What are the food choices in the WAWOP meal packages? Breakfast at the hotels has a broad range of choices from cereal and breads, to meat, eggs, and cheese, fruit and even vegetables. Lunch and dinner at the Royer are served buffet style. Meals include a range of salad choices (green, cucumber, corn as examples), a choice of hot main dishes including a meat, a pasta, and a vegetarian selection, and a dessert table. There is also a table with a selection of breads and some cheeses. Please advise WAWOP organizer if you have dietary restrictions or concerns on the application form. Water is available with your meal. Other beverages for a fee. Are grocery stores and/or pharmacy nearby? Yes, there is a grocery next to the hotels. Hours are convenient. They have full range of products including any extra beverages or snacks you may want. Pharmacy available in town (10 min walk) with normal business hours and has full range of toiletry items and other essentials. The grocery stores in walking distance are Spar Landmarkt and Billa. If you need items like toiletries, sanitizer, etc. you should visit DM or Bipa. The Pharmacy (APOTHEKE) carries advil, creams, pain medicine, etc. Who are the people that participate in WAWOP? Professions: software engineer, surgeon, band director, music teacher, social worker, hospital administrator, college professor, US Air Force musician, university administrator, homemaker, business executive, retired, naturalist, composer, artist. What is the weather? Is there air conditioning? Weather in July can vary. It is the mountains! It can be quite warm – shorts and tee shirt weather, or it can be quite cool – jeans and a rain jacket. It does cool off at night and it is significantly cooler and windier on top of the mountains. (likely below freezing on top of Dachstein at 10,000 ft). There is no air conditioning in the hotel rooms. Windows do open. Dining areas and the Congress have air conditioning. Expect a passing rain shower and bring rain jacket/umbrella. If my spouse or family come to Schladming what can they see and do? What should I pack? What do people wear to rehearsals and meals? 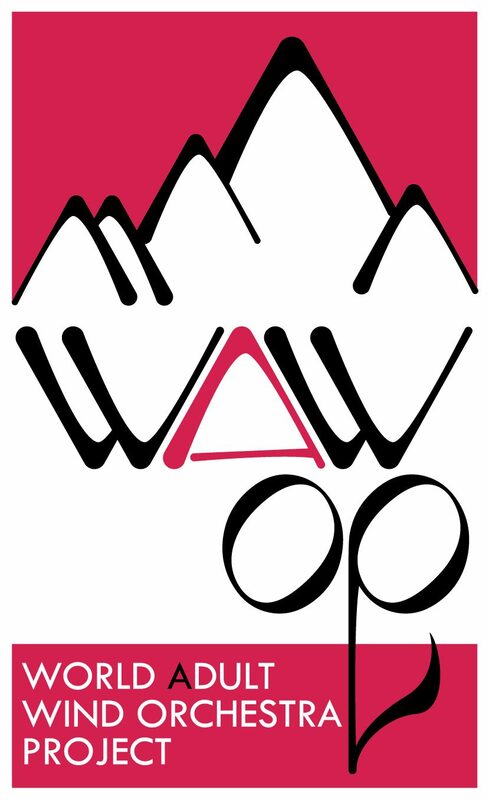 WAWOP is completely casual except performances. Daily attire should be comfortable. Shorts are fine. Walking shoes or sneakers are good for making your way from rehearsals and sectionals to meals, hotel, etc. You will want good shoes for exploring the Planai mountain top. Layers are recommended due to variation in mountain weather. Passing rain showers should be expected. Concert attire should be traditional national costume or all black. Lange Nacht performance will be black pants and WAWOP shirts. One evening there will be a traditional Austrian dinner that slacks, skirt, or summer dress would be appropriate. Slacks or nice jeans might be preferred for evening concerts in the Congress during MidEurope festival. How do we get around? Buses? Train? Schladming is a small town. You can walk from one end to the other in less than 20 minutes. You will walk most places. WAWOP will charter a bus for excursions. There is train service in Schladming to Salzburg and other cities. Rental cars are available through your hotel. The Royer does have a shuttle van for moving people and luggage to/from the train station. And of course, there are gondola lifts to take you to the mountain tops.